: Cost of ServiceMaster Clean Franchise? How Much Does It Cost to Own a ServiceMaster Clean's Franchise? Owning a ServiceMaster Clean maintenance services franchise can be a lucrative business, but it does have some initial financial requirements. To open a single commercial/residential cleaning location, the company requires that potential franchisees have liquid assets of at least $40,000. The franchisee startup costs associated with owning a ServiceMaster Clean maintenance services franchise are similar to those of Splash Brothers CleaningHome Cleaning Centers Of AmericaThe Boardwalk Cleaning Co..
ServiceMaster Clean falls under the 'business services', 'cleaning & maintenance', 'home based business', 'home services', 'mobile', 'multi unit and area developer', 'sba approved', 'small business', 'veteran's' and 'women's' franchise categories. Across these multiple categories, it is further subcategorized under 'carpet cleaning', 'commercial cleaning', 'house cleaning/maid service' and 'restoration'. See how the investment level of ServiceMaster Clean's compares to those of other available cleaning related franchises. Does owning a ServiceMaster Clean maintenance services franchise sound like the correct business venture for you? Add this franchise to your cart and request free additional information about this business from the company, itself. These are the locations, inside the United States, where ServiceMaster Clean is looking to expand its maintenance services franchise. 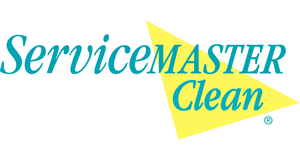 ServiceMaster Clean is currently accepting inquiries from the following states: AK, AL, AR, AZ, CA, CO, CT, DC, DE, FL, GA, HI, ID, IN, KS, KY, LA, MA, ME, MI, MN, MO, MS, MT, NC, ND, NE, NH, NJ, NM, NV, OK, OR, RI, SC, SD, TN, TX, UT, VT, WA, WY. Provide a valued service clients can't do without. Scalable, award-winning and committed to excellence for over 60 years. Click here to get in contact with ServiceMaster Clean and request free additional franchise information. Incorporated Name ServiceMaster Residential/Commercial Services L.P.